Eric Johnson is a friend of mine, and a bona fide expert on Mormon history and theology. After teaching high school Bible for seventeen years, and junior college English for eight years, Eric now lives in Salt Lake City (Utah), and ministers full-time to members of the LDS church. The ministry he works with, Mormon Research Ministry, is my go-to source for videos, articles, books, and helpful information on the LDS faith. He recently released a helpful book for students called Mormonism 101 for Teens. Eric was kind enough to answer a few of my questions about students and the LDS faith. Enjoy! 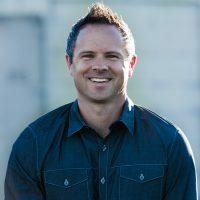 SEAN MCDOWELL: Why did you feel the need to write a book on Mormonism for students? ERIC JOHNSON: I have had the opportunity over the years to coauthor three different books on Mormonism, including Mormonism 101 (Baker, 2015), which was first printed in 2000. One thing about Mormonism is that it's complex, especially for someone who knows little about it. Yet most of us know Mormons relatives, neighbors, or friends. It can be confusing, especially since there is a similar vocabulary that we use (such as "God," "Scripture," and "Salvation") with entirely different meanings. A few years ago someone told me how much they enjoyed our resources but their teen just didn't want to read a 300-page book! "Could you suggest something simpler?" I was asked. Mormonism 101 is pretty basic, but it was written for adults in mind. And I knew of no other resource to recommend. So, I took this as a challenge and used the following subtitle: "The Religion of the Latter-day Saints Simplified." I decided to describe the difficult concepts in fewer words. I also chose to limit the quotes. My goal was to make Mormonism understandable to someone who knew next to nothing about this religion while not being insulting. Having worked with teens for many years, I know full well that most teens don't like adults talking down to them. The result is a book that I think encapsulates Mormonism in 110 pages while providing some neat feature articles throughout. And let me add, I think this book will also be appreciated by adults who would like a simple overview of Mormonism from a Christian perspective. MCDOWELL: What are the unique questions teens have about Mormonism? JOHNSON: Teens are curious. They don't want to know just "what" but "why" as well. I appreciate that. For one, many teens that grow up in Christian homes want to know why someone would be a Mormon. This gave me an idea for chapter 3 ("Examining the Attraction of Mormonism"). For instance, reasons we hear Mormons give all the time include "I prayed about this church and I know it's true" and "Mormons aren't hypocritical like others I know." Probably most Latter-day Saint teens would admit that they are Mormon because this is how they grew up. That's honest. This gave me what is called a "teachable moment." So I ask the reader, "If you call yourself a Christian, how did you come to this conclusion?" Just because you grew up attending a particular church, does this make it true? Of course not! So here I emphasize the importance of "owning" one's "own" faith, a slogan my high school Bible students at the Christian school where I taught for close to two decades heard me say over and over again. Even if they did grow up as "Christian," I hope the readers will contemplate legitimate reasons why their faith should be a priority. 101 for Teens also tackles other pertinent issues, such as dating those belonging to other faiths. MCDOWELL: What are the most common misconceptions students have about the LDS church? JOHNSON: Probably the biggest misconception is the idea that Christians and Mormons shouldn't socialize or be friends. After all, some (including the parents) might be afraid that friendships with a Mormon could tempt someone to join the LDS Church. Certainly this is possible. But if handled correctly, it's not likely. Listen, my youngest daughter is going to be a senior next year at a Utah public school of 1,800 students. More than 1,000 of those students attend a Mormon "seminary," which is a religion class taught by LDS teachers in a building next to the school. The seminary sponsors a "missionary day"; you would think the campus is doubling for the Missionary Training Center because most boys wear white shirts and ties while the girls wear dresses. My daughter is the drum major in the band, and so she spends a lot of time with the band crowd. She estimates that 90% of all her relationships are LDS. She has no choice, as there are few dedicated Evangelical Christians at her school, including nobody else in her band program. She doesn't shy away from making friends. At the same time, those who know her are curious about her and her faith. Even though she normally wears a cross around her neck to affirm her belief in Christianity, her friends know that she is the real deal, not a hypocrite. Because she has been forthright, she has had the chance to have many detailed faith discussions. It's possible to be friendly and not arrogant! At our ministry, we call this "Compassionate Boldness." The "gentleness and respect" aspects, as Peter talks about in 1 Peter 3, are important. But there are times to be bold as well. Of course, as I stress in the dating chapter, lines need to be drawn, as the two faiths are incompatible. This can be done by asking honest questions—something I explain in the book—and engaging in meaningful conversations. MCDOWELL: If you could give one key message about the LDS faith to teens today, what would it be? JOHNSON: Mormonism is quite different than biblical Christianity—that can be seen by reading the doctrinal section of this book. For instance, the God of Mormonism has not always been God, Jesus is not the second person of the Trinity, and true salvation requires much more than faith. The book clearly explains this religion's unique doctrinal stance, as defined by the LDS leadership and their scriptures. Yet how often do I run across Latter-day Saints who want me to call them "Christian" or "Brother" and pretend the differences don't really matter? But they do! After all, Mormonism is based on the "Great Apostasy," which means that all authority of Christianity was lost soon after the death of the apostles. God the Father supposedly told the 14-year-old Joseph Smith in the First Vision that all the Christian churches were false and their teachings were an abomination. That's serious stuff. An important message I want to convey is that Christians ought to be opposed to the teachings of Mormonism while not being against the Mormon people. Thus, it's a false assumption to say that disagreement is equal to intolerance or hatred. In what way? Just because we disagree with a certain philosophy (such as Mormonism) should not be taken as a slam against those who hold that philosophy. Indeed, I love Mormons! If we can make this understood, then dialoguing with faithful Latter-day Saints on important differences and dealing with this very special thing we call faith can be very productive.